Republican voter suppression rationales: Why “voter integrity” is nonsense. The GOP’s claims of defending “voter integrity,” “fairness,” and “uniformity” are complete nonsense. Under the constraints established by the new law, voters in the cities and large suburbs of Wisconsin are at a disadvantage compared to their rural counterparts. Voting rights advocates have attacked these laws as blatant attempts to suppress the votes of low-income and minority voters, but Republicans defend their actions as justified to protect “voter integrity” and ensure “fairness” and “uniformity” in the system. Here’s Wisconsin state Sen. Glenn Grothman on a bill—signed last week by Gov. Scott Walker—to end early voting on weekends. “Every city on election day has voting from 7 a.m. to 8 p.m. The idea that some communities should have weekend or night voting is obviously unfair,” he said. “It’s a matter of uniformity. I don’t know what all the hoopla is over,” he told Reuters. The fact that some communities have a greater demand for voting than others reduces Grothman’s logic to obvious nonsense. To wit, under the constraints established by the new law, voters in the cities and large suburbs of Wisconsin are at a disadvantage compared to their rural counterparts. For example, Republicans have limited total early voting time to 45 hours during the week. In order to accommodate the number of early voters in 2012 under that time limit, explained Milwaukee Mayor Tom Barrett, you’d have to have a voter cast a ballot every nine seconds. Areas with fewer voters, of course, would have an easier time. The “uniformity” argument doesn’t make sense, either—but then, neither does the focus on in-person voter fraud, which doesn’t exist. Nonetheless, North Carolina Republicans cited fraud last year when—empowered by the Supreme Court’s ruling on the Voting Rights Act, which struck down the “preclearance” requirement—they passed a sweeping package of restrictions that cut early voting, ended same-day registration, introduced a strict photo identification requirement, and empowered independent “election integrity” groups to monitor polling stations and challenge voter credentials. For as much as Republicans insist that this is about “protecting the vote,” evidence suggests otherwise. According to a recent paper from Keith G. Bentele and Erin E. O’Brien, there’s a clear pattern to the incidence of voter restrictions. States that elected Republican governors, increased their share of Republican lawmakers, or became more electorally competitive under Republicans were more likely to pass voter identification and other limits on the franchise. The same was true for states with “unencumbered Republican majorities” and large black populations—they were especially likely to pass restrictive measures. Not out of racial animus, but because African-Americans are a reliable Democratic constituency. Republican voter suppression might not be an explicit attempt to target low-income and minority voters, but as far as effects go, it doesn’t matter either way. The outcome is still one where minorities and low-income Americans have a harder time at the polls. It should be said that none of this is new. Most Americans are familiar with race-based voter suppression—the poll taxes, literacy tests, and grandfather clauses of Jim Crow—but those are part of a larger history of partisan voter suppression that stretches back to the early 19th century. After a flood of Irish immigrants tipped the electoral scales and threatened Whig electoral prospects in New York, observes Alexander Keyssar in his book The Right to Vote: The Contested History of Democracy in the United States, Whig lawmakers rushed to pass tough new registration rules for New York City, which contained the largest concentration of Irish voters. 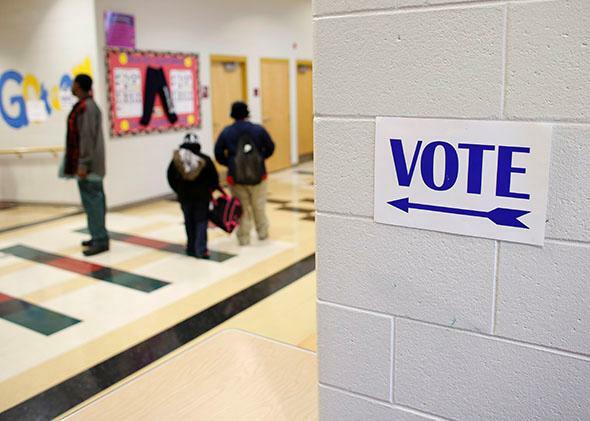 What’s more, in states like Missouri, Maryland, and Indiana, Know-Nothing and Whig lawmakers sought to delay voting rights for naturalized citizens, fearing the political consequences of large-scale immigrant enfranchisement. This fear wouldn’t go away, and would become a preoccupation of Republican lawmakers in the Northeast. In the late 1880s, for instance, New Jersey Republicans pushed a measure that would have required naturalized citizens to have their naturalization papers when voting—a precursor, of sorts, to voter ID. “A sad feature” of New Jersey’s requirement, noted the New York Herald, “was that many persons will be deprived of their vote, as their papers are either worn out, lost, or mislaid.” It’s a worry that should sound familiar to anyone concerned about the impact of a strict ID requirement for voting. Today’s voter suppression is the clear echo of a familiar past, where an earlier generation of American politicians worked to adjust to immigration, racial change, and newly competitive elections.